This plant is only 3 to 8 inches tall. It resides underneath many other plants that grow near it. The fruit is bright red and easy to spot right now. 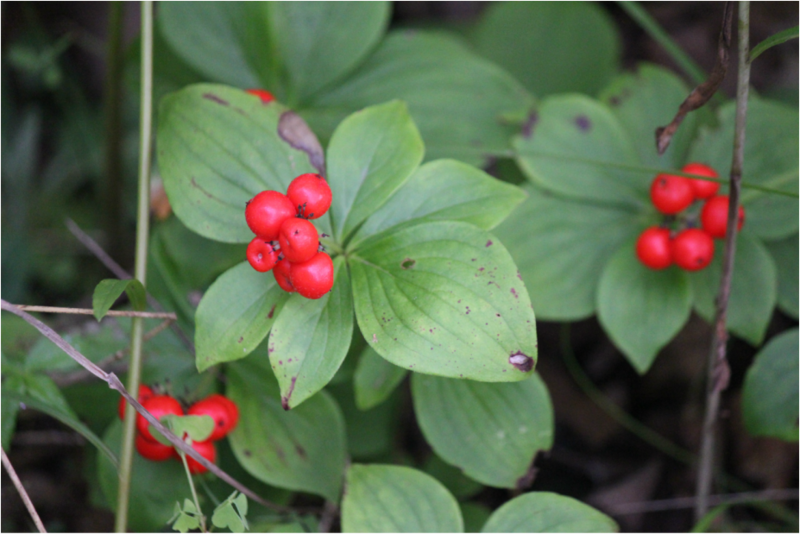 The six leaves are situated in a whorl underneath the tight clump of berries. It is found in cold woods and mountains - from Northern Canada to the northern edge of the United States and in the mountains to West Virginia.